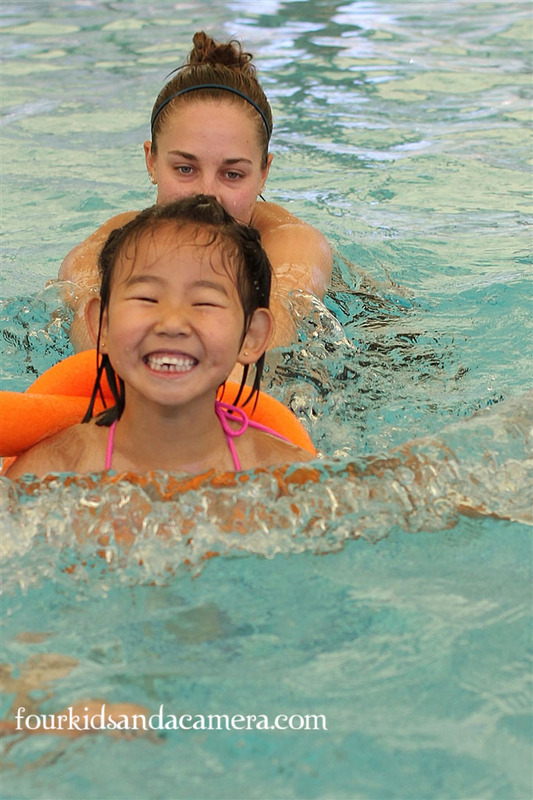 Summer brings swim lessons for the kids. They are all turning out to be little fish. Some are much braver fish than others. 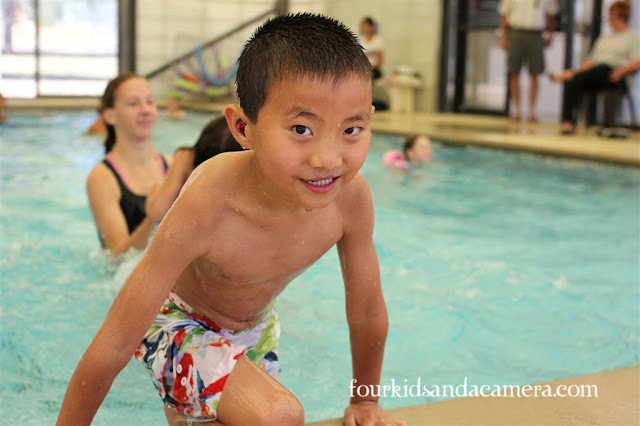 Andrew has little fear of much in life and swimming is no exception. 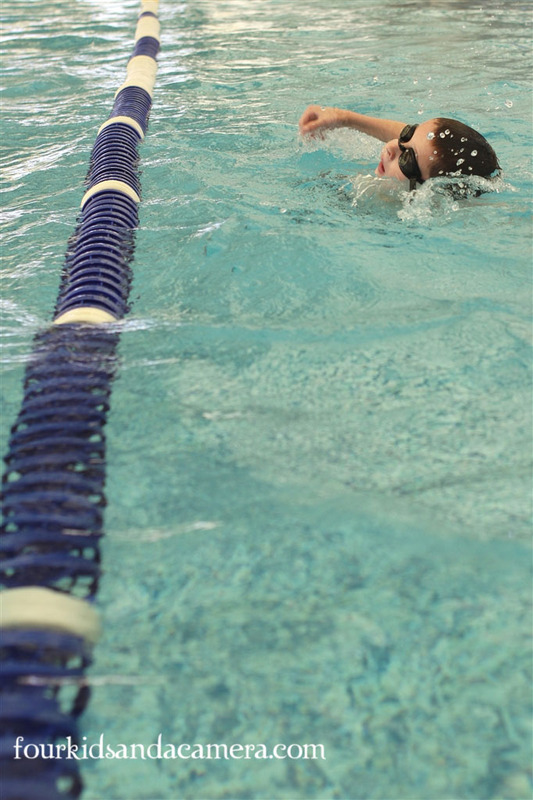 Riley has swam is his heart out this week. I can tell as his consumption of calories has increased in this week. If there was an award for most improved it would be for Katie. She was so very scared the beginning of the week, but with a very sweet hearted teacher she has made great improvements in just a week. The first photo was taken with my Canon 60d, 35 mm lens. ISO 100, Shutter 1/320, and f 2.8. 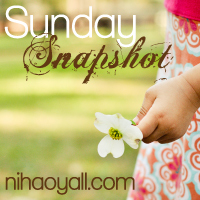 Linking up with Sunday Snapshot. I LOVE swim pictures!!!! Great lighting Teri!!! 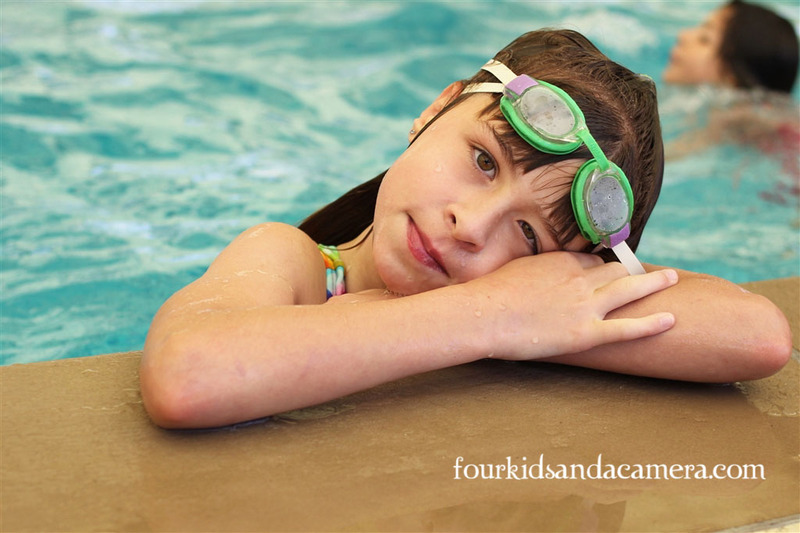 Isn't it great to see your kids enjoying the pool??!! I love that!! And yes, appetites have increased at our house too because of all the extra swimming. lol. What a fun way to get rid of some of that excess energy :) Great pictures... love that blue water! Thank you for the sweet comment on my Sunday post. I wish you could have seen her dance too!! I am going to email you later with a couple of "dance" questions regarding our "next steps"....if that's OK?